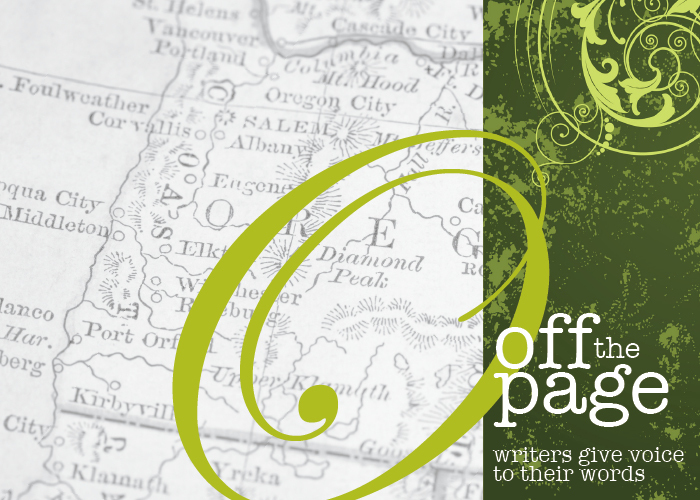 Join us for Off the Page, a celebration of poetry and prose on Friday, April 1 at 7pm in Yachats, on the central Oregon Coast. The event takes place at the Overleaf Lodge Event Center, located at the north end of town, on Highway 101. Doors open and music starts at 6:30pm. The reading begins at 7pm. Admission is free and open to all ages. Now in its fifth year, Off the Page is an encouraging celebration of creative expression. Pacific Northwest writers will share their work. Featured writers include: Khlo Brateng, Brian Hanna, Holly Hughes, Drew Myron, Caitlin Nicholson, Maxine Sheets-Johnstone, Ann Staley, and singer/songwriter Richard Sharpless. Khlo Brateng, of South Beach, is an actress, singer, musician and writer. A lover of music and the rhythms of language, she explores poetry, flash fiction and short stories in her chapbook Words Out Loud. Brian Hanna, of Seal Rock, is an architect who emerged from retirement to design commercial and industrial structures throughout the U.S and Canada. He is a member of Tuesdays, a weekly writing group, and a volunteer with Seashore Family Literacy’s Young Writers Group. Holly J. Hughes is the editor of the award-winning anthology Beyond Forgetting: Poetry and Prose about Alzheimer’s Disease, and author of Boxing the Compass, a chapbook of poems. She spends summers working as a naturalist in Alaska and winters teaching writing at Edmonds Community College (near Seattle, Washington) where she co-directs the Convergence Writers Series. Drew Myron, of Yachats, is the creator of Off the Page. With a belief that writing needs to crawl out of the journal and soar into the community, she created the annual event — now in its fiifth year — to showcase local writers and celebrate the power of creative expression. In her first life, Maxine Sheets-Johnstone, of Yachats, was a dancer/choreographer. In her second life, at 80, she is an interdisciplinary scholar and philosophy professor at the University of Oregon. She is the author of seven books, and editor of two. Her latest book, Putting Movement Into Your Life: A Beyond Fitness Primer is a lively, engaging tool to help transform everyday habits into vibrant fun. Ann Staley, of Corvallis, is a poet who has taught for over 40 years, in five Oregon school districts, two community colleges, two public universities and two private ones. She likes nothing better than settling into a circle of strangers, opening her notebook and saying, "Let's do some freewriting for a few minutes before our Introductions. Write about whatever comes to mind. There is only Now followed by Now." Lodging and event space generously provided by the Overleaf Lodge & Fireside Motel.